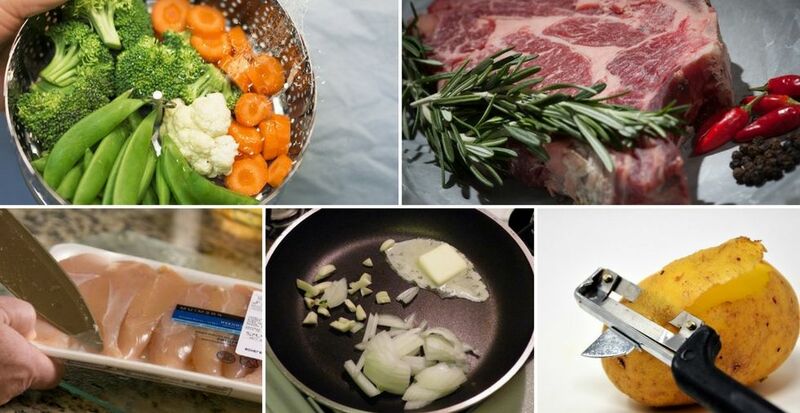 Are you guilty of making common cooking mistakes? For the majority of us, cooking skills are picked up as we go along. Watching our Nana as a child; helping Mum in the kitchen - all these culinary experiences help us make our own way in the kitchen as adults. This may be more than enough to help us get by, but without any proper training, it's easy to make cooking mistakes without even realising it. Today we're sharing the 15 most common cooking mistakes people like you make every day. They may not seem like a big deal now, but they could be ruining your dishes and costing you time and money in the kitchen. Remedy them to prevent cooking mishaps and improve your cooking abilities the easy way today! We're often brought up to think there's only one right way to prepare veg -peeling. In fact, peeling veg can often be a big cooking mistake. Not only does the skin contain a bounty of beneficial ingredients for our health, but it can also give your dish more flavour. For roasted veg especially, the skin can also add a crunchiness to your dish. Smaller mushrooms also fare particularly well when left alone. This is good news for your cooking time! 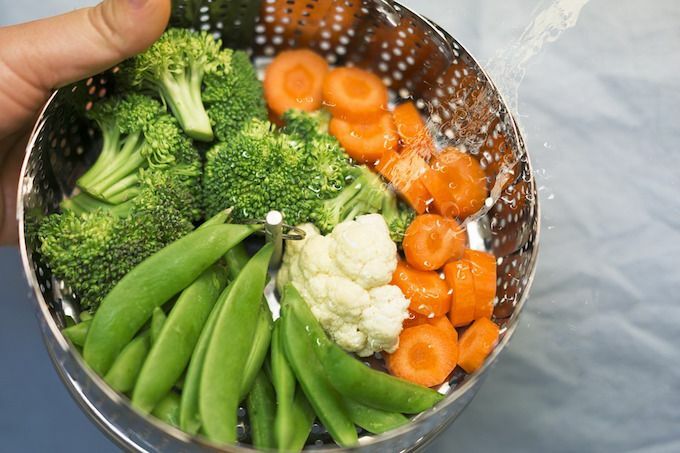 Just be sure to wash your veg thoroughly first. 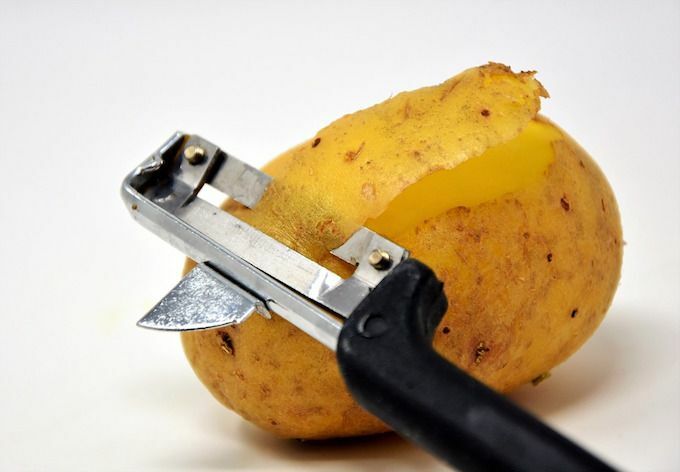 Have you ever wondered why your food never seems to crisp up? Or takes ages to cook? You could be overcrowding your pan. This makes it more difficult for food to obtain the heat it needs to cook evenly and thoroughly. 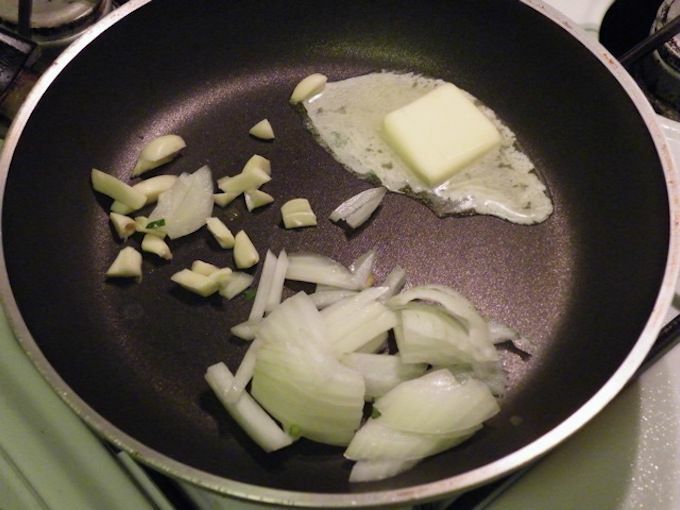 Use a bigger pan, or, if needs be, two pans when cooking. It might mean more washing up, but it will save you time in the long run. This cooking mistake is a cardinal sin. Tasting food as you good is imperative to achieving accomplished dishes. Whether it's mashed potato for the top of your Shepherd's Pie or a complex jus, tasting as you go will prevent an underwhelming final result, or worse - an inedible dish! What is shocking veg you say? It's not as menacing as it sounds, but it is the key to bright, crisp veg in the kitchen. Shocking veg is simply placing it in ice-cold water after boiling/steaming. This cools it immediately, preventing the retained heat continuing to cook it into a soggy mess. Wondering why your pasta always ends up in a soggy mess, no matter how little you seem to cook it? 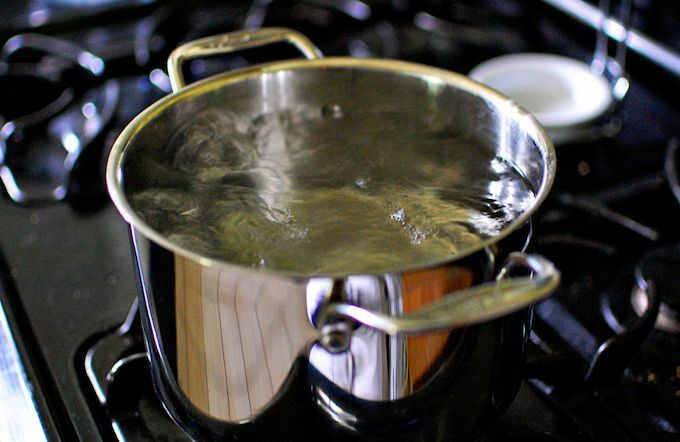 You're probably not using enough water - a big cooking mistake! Failing to give your pasta enough room to circulate and expand in the pan will increase the chance of it coming into contact with other pieces, and thus, sticking together. Next time you're cooking Italian, be sure to use a bigger pan. Giving your pasta a brief stir two minutes into cooking time will also help loosen it up. We've seen it so many times - people throwing in their garlic with their onions at the beginning of cooking. Garlic is much more delicate (not to mention smaller) than onions, and won't take the hot heat onions will. To prevent it from burning and becoming crisp, add your garlic later on in the cooking process along with other ingredients. Keep it away from direct contact with the pan to avoid its bitter, burnt taste ruining your meals. Whilst we're on the subject of garlic, why not check out our wonderfully weird uses for garlic - they're great! If you have a habit of putting steaming hot food directly into the food to chill, now's the time to stop. Not allowing food to reach room temperature before chilling can increase the risk of bacteria growth. Cooking pasta or rice? One of the simplest cooking habits to get into (but one most of us forget) is to salt the water before cooking. This will help season the dish from the inside out, and make your dinners much tastier as a result. Pasta and rice don't have to be bland if you avoid this cooking mistake. Extra Virgin Olive Oil is always a good idea, right? Although you may think you're making a healthy choice by always opting for expensive, Extra Virgin Olive Oil, it could actually be doing more harm than good. There's a reason Extra Virgin Olive Oil is predominantly featured in salad dressings - compared with other oils, it has a relatively low smoke point. This makes it unsuitable for frying. Head to Good Food to get the low down on which oils are best for which cooking tasks in the kitchen. Have a read of our unexpected uses for olive oil for other ways to use this wonderful cooking ingredient. They're always banging on about it on Master Chef - not letting your meat rest for long enough. What's the big deal with letting meat rest - Does it really matter? Resting meat gives the juices time to distribute evenly through the meat, resulting in a juicier, melt-in-the-mouth result - delicious! We love non-stick. They've enabled us to get perfect eggs and pancakes on the table many-a-time. In fact, non-stick technology is so great, that it's easy to get carried away and start using it for everything. Whilst this may seem like a great idea, non-stick pans cannot, and should not, get as hot as traditional pans. This makes them largely unsuitable for many cooking tasks, including searing meat and crisping salmon skins. Unless you're cooking something that's prone to sticking, opt for a traditional pan. It's really important to look after your pots and pans. Check out our pan cleaning tips now to make sure you're doing it right. Speaking of crisping and searing meat, another common cooking mistake is not giving your pan enough time to heat up before throwing your ingredients in. Sealing meat requires hot temperatures. This means allowing your pan to heat for a minute or so before adding your meat. Try it next time - your dishes will be much tastier as a result. 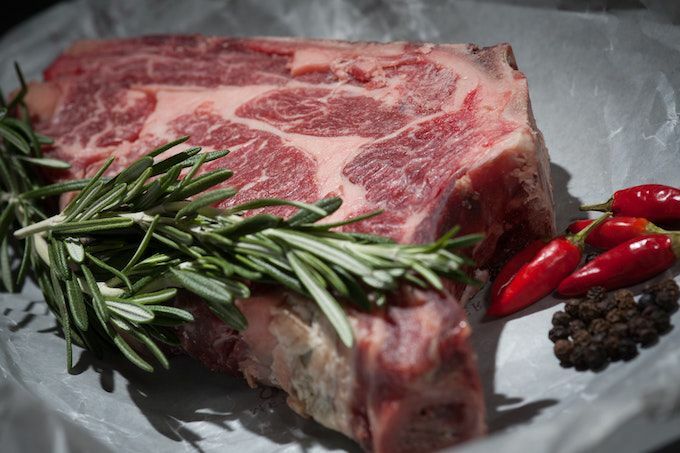 We're always told to let meat sit at room temperature before cooking, but why? The answer is surprisingly simple. One of the keys to fillet-steak success is even cooking. Allowing your steak to reach one temperature before throwing it into the pan will mean both the centre and the edges require the same amount of cooking time. 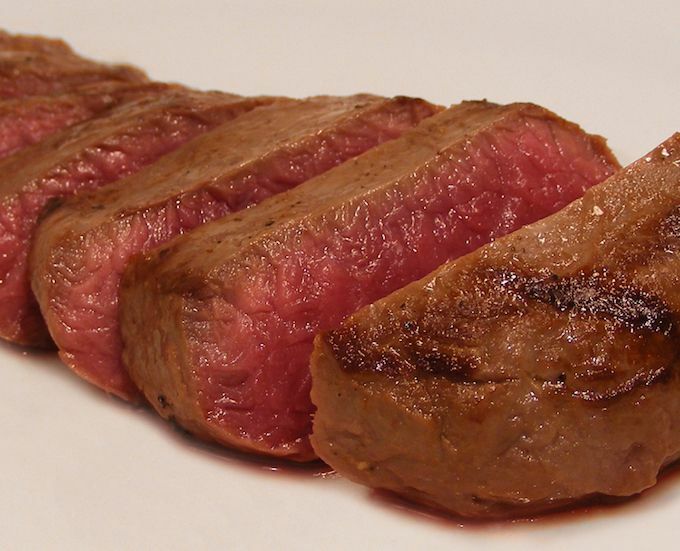 Additionally, a refrigerated piece of steak has contracted muscle tissues, which make burning and toughness more likely. Allowing the meat to sit helps it 'relax' before cooking, for a more succulent result. Being too attentive to your food could actually be doing your cooking more harm than good. Whilst you can never taste-check too much, turning your food too often is a different matter entirely. For meat especially, the constant temperature changes that result from flipping too often can cause it to become tough and also prevent it from being able to sear properly. With meat, less really is more. There's a wrong way to cut meat? Yes, there sure is! Contrarily to popular belief, the correct way to cut meat is across the grain. Cut it with the grain, and your meat is likely to be chewy as a result. This simple cooking mistake could be the reason your steak is never quite up to scratch. Did you learn something new today? Share you best cooking tip with us below.